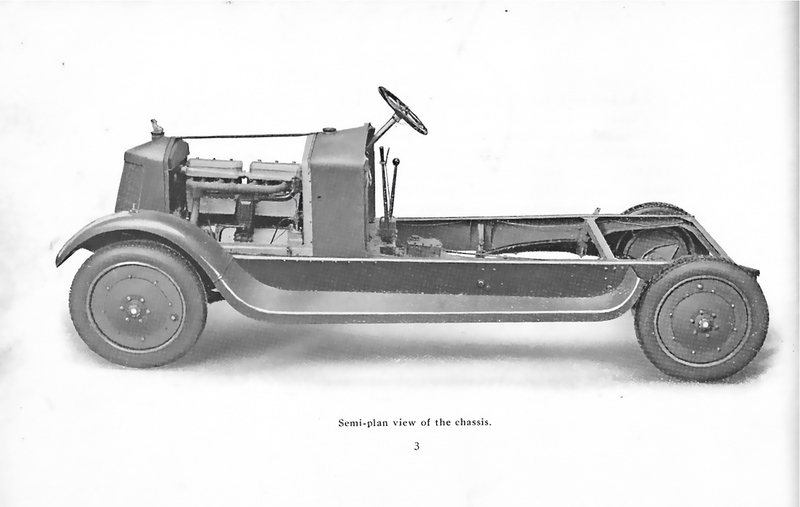 This is the Mark 1 30 HP chassis which Armstrong Siddeley introduced in 1919, a year after the end of the First World War. Production started in 1920 and continued to 1924. 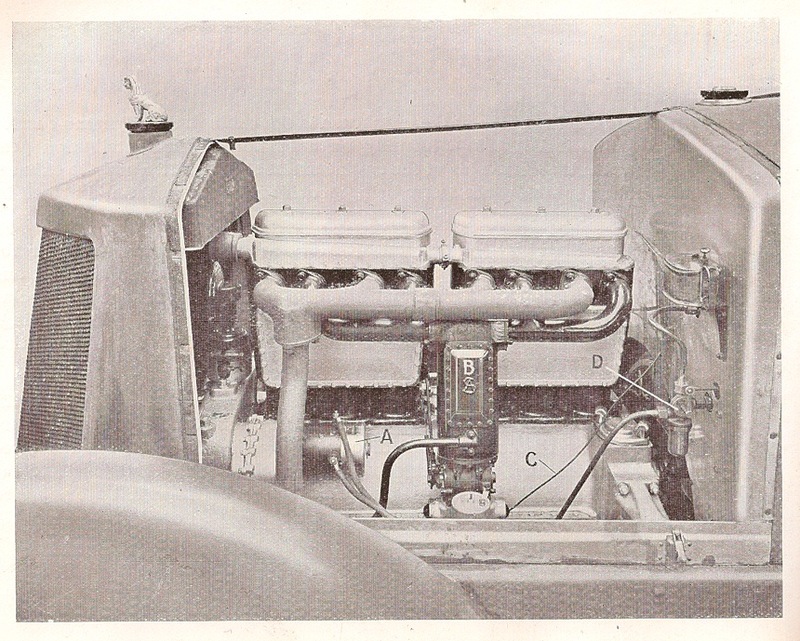 Note the V radiator with the Sphinx mascot, the deep chassis members (sides), and the scuttle mounted petrol tank (behind the engine). 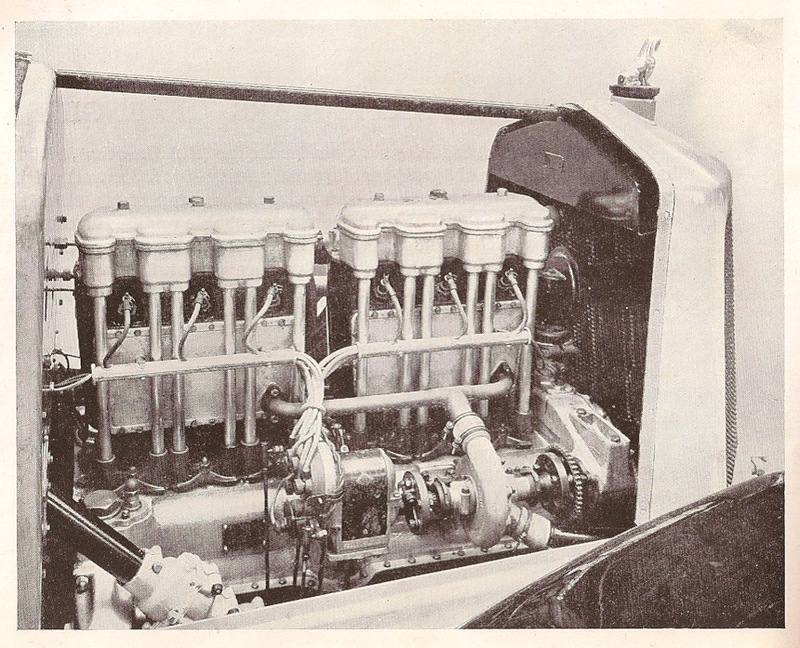 This is the Mark 2 chassis, which was made from 1924 to 1927. The box on the running board is for the battery. 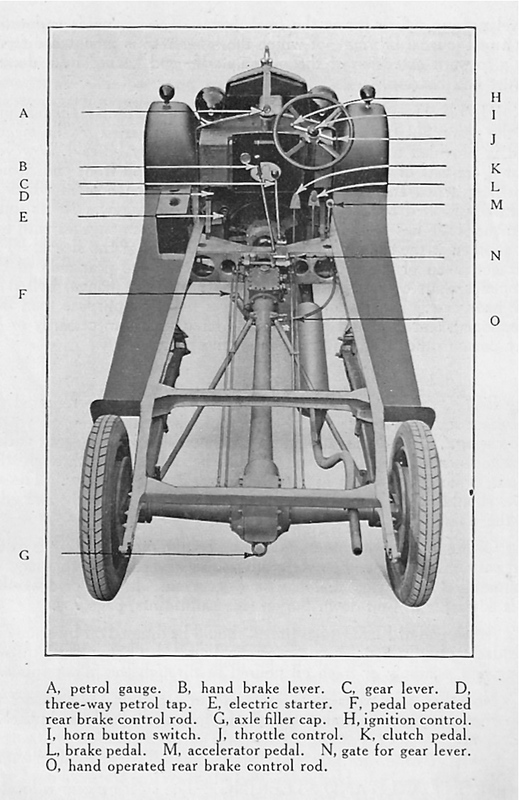 Details on the Mark 2 chassis. 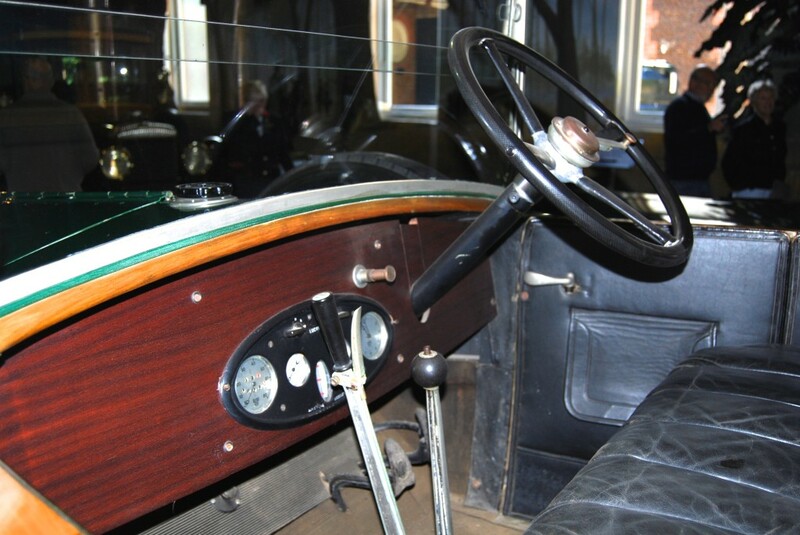 This shows the scuttle mounted petrol tank in front of the dashboard. 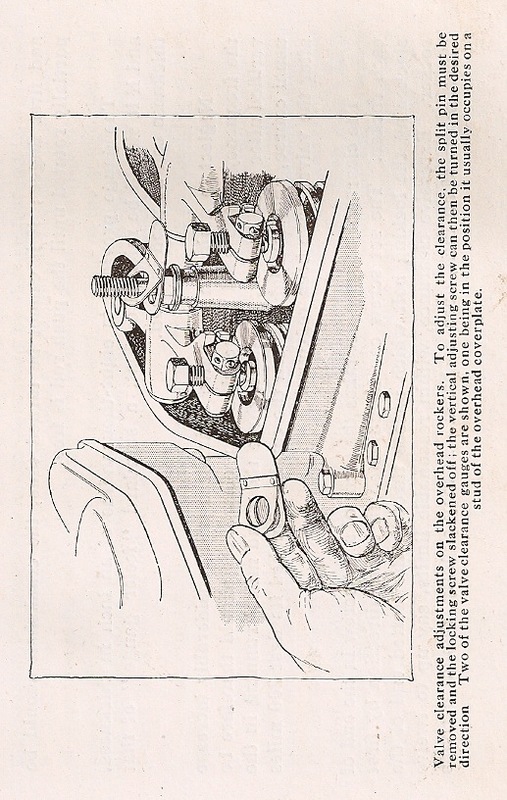 The gear box is placed centrally in the chassis with the gear lever next to the handbrake. The brake and clutch pedals have AS cast in them. The propeller shaft linking the drive from gearbox to back axle is enclosed within a tapered casing. The front springs are semi-elliptical, and the rear springs are cantilever. 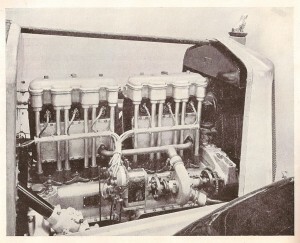 The Armstrong Siddeley six-cylinder engine had a bore and stroke of 3.5 x 5.25 inches (89 x 133 mm) with the cylinders cast in blocks of three and bolted to the top of the aluminium crankcase. In this view you can see the magneto and water pump in tandem. 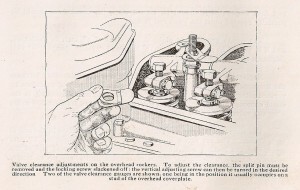 The vertical tubes enclose the push rods of the overhead valves with the sparking plugs in between. 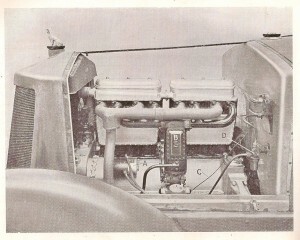 This nearside view shows the carburettor and at A the dynamo; B the induction pipe exhaust jacket; C the choke control cable; and at D the combined three-way tap and petrol filter. This sounds very interesting indeed as there are very few surviving 30 HP cars. I suggest that you contact the Armstrong Siddeley Owners Club in the UK and the one-make clubs in Australia and the Netherlands. They may be able to put you in touch with other owners of 30 HP cars. I guess the ignition and fuel systems will have some generic parts used on other cars of the same date. Let me know if a pdf copy of the mark one 30 HP handbook would be useful to you. I am interested to know more – what type of bodywork does the car have and where was it used in the 1920s?